If you’re new to editing your own podcasts, I’m guessing that you find the post production process difficult and time consuming. I learned a ton of time saving tricks in the years I was working as a podcast editor, so I’m going to share them with you in today’s episode. My goal is to take you from slow and pokey to lighting fast so you can get on to things you enjoy doing more. Here are seven of my best tips to help you save time and get post production done faster and easier. If you are already writing an outline for your show, take your outline and turn it into show notes. Editing problems caused by Skype takes time, so avoid this issue by recording local tracks and using those instead of the Skype recording. Good, clean audio will require less post production work, so set gain levels correctly, use a pop filter and good mic technique, and eliminate background noise before you hit record. Your listeners will get annoyed if everyone is constantly talking over each other, so avoid talking over your guests or co-hosts as much as possible. Using templates for plugins, channel strips, projects, artwork, and show notes will save you a ton of time. Writing down your process is good for you, but it’s also important if you ever want to outsource your post production to someone else. 1:46 Some of you might not be doing extensive show notes like what I do for my shows, but I recommend it. It’s a great resource for your readers and it will attract new listeners to your show. 2:11 I normally write my outline in a app called Typed, but this week I switched to a mind mapping program called MindNode. The cool thing about this app is that once I’m finished creating my mind map outline, I can export it as a plain text document in an outline format. Then I copy that text into Typed and turn it into show notes by marking it up with Markdown. 4:14 If you’re going to be writing detailed show notes, I recommend learning Markdown. Markdown can be huge time saver if you need HTML show notes for your website. I use Typed for writing show notes. I write all my show notes using Markdown and then export as HTML which I drop into the WordPress post for my podcast episode on the seanwes website. Markdown saves me from having to write a bunch of HTML code (for headers, links, bold, italics, etc). 5:52 The better you can get your recording sounding up front, the less work you’ll have to do in post production. The first thing you need to do is record locally. This means that you’re recording a track on your computer using Quicktime, Garageband, Audacity, or any other program made for recording audio. I’ve said before that if you’re interviewing someone or talking with your co-host over Skype, it’s a good idea to record both local tracks and the audio from the Skype call. Skype can be unreliable, so if you only record the Skype audio, you might have to edit out weird glitches or drops later. 6:57 If you are recording locally but talking over Skype, have a system for starting the local recordings at the same time. 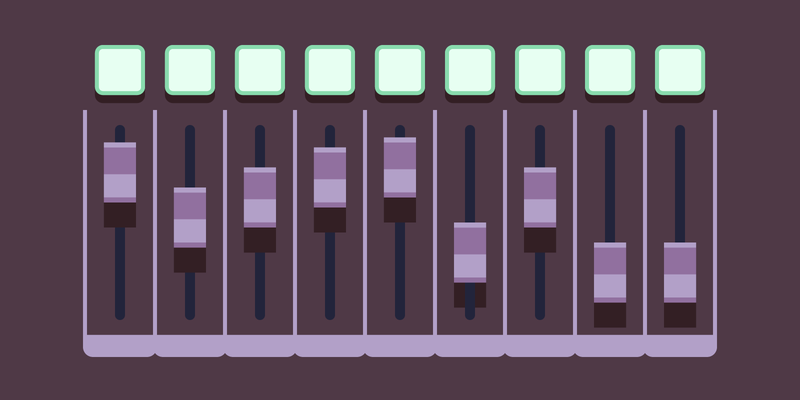 You could do a “1…2…3…go” countdown, or just make sure everyone hits stop on their local recordings at the same time so you won’t have too much trouble lining up the tracks in your audio editing software later. 7:41 This isn’t really about speed, but background noise is distracting and creates a poor experience for your listeners, which may cause them to turn off your podcast. If you want to create a nice listening experience for your audience, there are some steps that you should take before hitting record. 8:47 The way to set gain levels will depend on what kind of mic you’re using. Most USB microphones have a gain knob on them, so you’ll need to open your recording software, start talking into the mic at your normal speaking volume, and then adjust the gain levels while you watch the input meter. If you have a USB audio interface like I do, you’ll probably have a gain knob for each microphone input. I shoot for -12db for the loudest peaks of my voice. If the program you’re using doesn’t have numbers on it’s input meter, the ideal peak level is usually about 80% of the maximum, or where green turns into yellow. 9:38 You should also be using a pop filter. This will help prevent plosives, which are blasts of breath that can hit the mic and cause annoying pops or clicks in your recording. 9:58 Learn about and use proper mic technique. Listen to yourself while recording (this is called monitoring) to make sure that you aren’t too close or too far away from the mic (three to six inches is a good distance). 10:34 When you’re having a conversation with someone, it’s tempting to jump in and interrupt when you have something you want to say, but cool your jets. Wait for the other person to stop talking. 11:38 If you’re using a professional DAW (digital audio workstation) like Logic Pro X, you can drop markers for edit points. The keyboard shortcut for dropping a marker in Logic is Option + ‘ , but you’ll need to check your software to see if it supports markers. Dropping markers can save you a lot of time if you don’t want to listen through the entire episode again while editing. Drop markers when mistakes happen in the recording and you’ll be able to quickly see where edits need to be made later when you’re editing. 14:42 I invested in a copy of Logic back in 2011 because I knew it had all the tools that I was going to need to know to do recording, mixing and mastering. You can get things done with cheap or free programs like Garageband or Audacity, but the professional software has tools and features that make your life easier once you learn them. $200 might seem like a lot for a program like Logic, but if it saves you an hour or two every week, over the course of a year it will have paid for itself. 15:28 You don’t have to become an expert in mixing and mastering, but you should understand what certain plugins do and how you can use them to improve the audio quality of your tracks. Here is a list of the plugins that I use most often when editing podcasts. 15:44 1. EQ. An EQ plugin allows you to shape the way the track sounds. If you have too much high end (treble), you can use an EQ plugin to reduce it a little bit. If there are certain frequencies that are sticking out, you can do a narrow cut to remove them. I did a screencast tutorial to explain the concepts, which will translate to any software you’re using that has EQ. 16:23 2. Compressor. A compressor will allow you to control the loudest parts of a track and can make the quieter parts louder. It makes everything a little more even. Watch this screencast I made about compression to learn more. 16:36 3. Noise Removal. Constant background noise can be distracting for your listeners, which degrades the experience and makes them more likely to turn off your show. There are various noise removal plugins that you can use, depending on which program you’re using for editing. I use and love Izotope RX4’s Dialog Denoiser. It’s a great plugin that does a phenomenal job of removing background noise without affecting the natural tone of the voice in the track. 17:51 4. Expander. The Expander plugin can also help remove the background noise in a track. It works almost like a reverse compressor, only allowing audio above a volume threshold though. Here’s a tutorial about how to use the expander plugin in Logic. 18:21 5. DeEsser. The DeEsser plugin can help remove the harsh S sounds that happen above 4k. Here’s a tutorial for using the DeEsser plugin in Logic. 18:39 There are keyboard shortcuts for nearly everything, and they can save you a ton of time. There are many great keyboard shortcuts for the Mac that I use every day, including CMMD+Tab for switching between apps, CMMD+Space for Spotlight, CMMD+W to close windows, or CMMD+Q to quit applications. There are also some great programs that let you create custom keyboard shortcuts (I use Quicksilver and Keyboard Maestro). But since this episode is about post production, I want to focus on keyboard shortcuts for that. 19:29 There are keyboard shortcuts for many things in audio editing programs, but some of the most important ones to learn are for zooming in and out and moving around in the editing space. You can do this with a trackpad, but if you like to use a mouse (like I do), you can hold down modifier keys like Shift, Option, and CMMD to change what your scroll wheel does (in Logic and Garageband, anyways). Learning this was a big game changer for me, because if you do a lot of editing like I do, you’ll spend a lot of time moving around and zooming in and out. If you find yourself going to the menu a lot to do something, see if there is a keyboard shortcut for it. 21:08 Some programs (like Logic) will even allow you to set custom keyboard shortcuts. I took advantage of this and mapped the tools I use most often to keys on the left side of my keyboard (` for delete, 1 for the pointer tool, and 2 for the fade tool). The less time you spend reaching across your keyboard or hitting a key with your mouse hand, the better. 21:57 Wouter asked: How do I easily tag episodes? 22:05 I use two apps to add metadata (tag) my MP3 files; Tagr – $10 , and Keyboard Maestro – $36. When you’re done editing a podcast, you’ll bounce an MP3 file that your audience can download and listen to. You’ll need to add metadata to that file, which is called tagging. This is information like episode title, episode number, artist, album, year, and so on. I add this information to MP3s using an app created specifically for this called Tagr. There’s another program I use called Keyboard Maestro that, when I hit a keyboard shortcut, will run a macro and add the necessary information to the file in Tagr. This saves me from having run through the text fields and type the information myself. Here’s a download link for that Keyboard Maestro macro, if you have Keyboard Maestro and Tagr and would like to try this for yourself (you’ll need to customize the macro with your information). 25:15 This was a huge time saver for me when I discovered that I could create templates for channel strips and even entire projects. You can also create default settings for your various plugins, so you don’t have to go in and recreate all the settings every time (time consuming and unnecessary). Set them up once, then save those settings as default so that every time you use that plugin on a track, it’s already set to a good starting point. From there, you can make adjustments as needed. Using templates for plugins, channel strips, projects, artwork and show notes will save you a ton of time. 26:20 You can also save whole channel strip settings (the plugins or FX that you use on a track) to recall anytime. I did this all the time when I was editing multiple podcasts every week. If I had a channel strip for a host set up with six different plugins, I saved it as a channel strip template so that next time I got an audio track from that person, I could load that channel strip template and I wouldn’t have to add all the plugins and figure out what their settings were supposed to be. 28:47 After you set up all your tracks, configure your plugins, and add your intros and outros and whatever music you need, you can delete any episode specific audio files and save the project file as a template that you can use every week. 30:06 If you like to create custom featured images for your podcast episodes, you can setup artwork templates to give yourself a starting point every week. I use Sketch to design my featured images, but you could do this with Photoshop, Pixelmator, or any other graphic design program. My artwork template contains a 800px by 400px rectangle, a simple textured background, and some text in the font that I need. It might not sound like much, but I save myself 10-30 seconds every week by not having to go through the steps to create those things. 30:57 If you write show notes for your episodes, see if there are any pieces you can save in a TextExpander snippet or a text file. Intros, outros, social links, things like that; anything that stays the same from week to week. Don’t type it out every time, use a snippet or copy and paste it from a text document. 32:22 I read a great article this week called Speed Matters. The article is about the mental cost of not working quickly. If you aren’t sure about what you’re supposed to be doing or how long something is going to take, it’s more likely that you won’t start or finish a project. So take the time to write out each of the steps that you have to do for post production. Put it in a to-do list that you can reference every week. After you’ve done it 5-10 times, you’ll be on autopilot and you’ll move through your work faster. 33:36 There’s another benefit to writing out your process; if you have a clear checklist of things that need to be done for post production and admin work for each episode, you’ll be able to hand it off to someone else. 45:01 Kyle Arbuckle asked: How do you get started with an outline or what is your process for creating an outline? 45:09 I start with the single idea of the episode. For this episode, my idea was “Tips for making post production easier or faster.” So I opened up my mind mapping app (MindNode), and started with that idea. Then I wrote down the sub-topics (which would become the headers), and then started filling the details out. Eventually I had a mind map that looked like this. Using a mind map for creating an outline helps me think of all the important, big picture things before getting into all the little details. 47:38 Nathaniel asked: How do I explain the value of podcasting to an organization who is totally new to the idea? 47:57 It’s really hard to explain to people who are not familiar with podcasting just how valuable podcasting is. They’ve never experienced that personal connection. If the people running the organization or your company aren’t podcast listeners, it’s going to be hard to communicate just how strong of a bond is formed between podcasters and their audience. You could go do some research and show them some articles about how podcasters are growing huge audiences, increasing brand awareness, and selling products, ads and consulting services to their audience. There’s a lot of evidence out there that you could gather, but it’s going to be a challenge to convince someone in authority that podcasting a good idea if they’ve never experienced a great podcast before. On top of that, podcasting is a long game play. You can’t expect to see quick results. Unless you already have a massive audience, you won’t see a huge ROI in the first few few episodes. It may take a year or two to grow and audience. 50:56 Ben asked: Should I apply effects like EQ, compression and limiting to individual tracks? What about the master track? 51:13 This is something that confuses a lot of people, so I want to share how I do it. I apply EQ and compression to each individual track, and I use the compressor to get the gain levels up to between -9db and -6db. Then I do an additional 2-4db of compression on the master track (with equal makeup gain), then I use a limiter as the very final plugin on the master track. I set the output ceiling on the limiter to -0.8db.